It's quite rare to find Windows phone 7 powered Nokia device, but finally Nokia has started a mobile phone series with Windows mobile, which is known as Lumia. this is a one of the latest phone of the Lumia series , the Nokia Lumia 900. it's a quite high end phone which powered by a 1.4 GHz processor. it has a 4.3 inch AMOLED capacitive touchscreen and the screen resolution is 480 x 800 pixels. 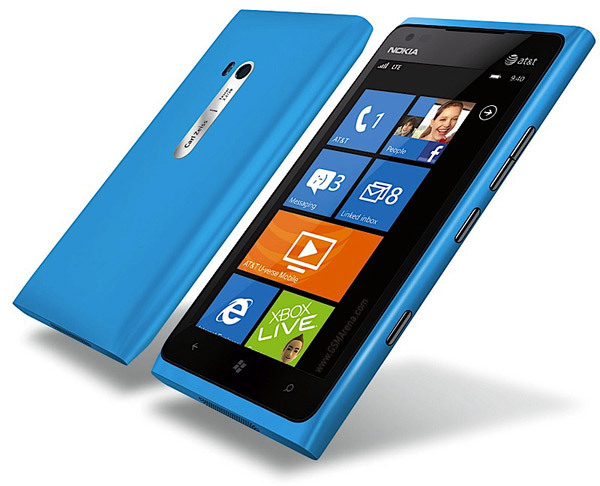 like in many smart phones, the outer glass of the Lumia 900 made by scratch resistant Corning Gorilla Glass material. Nokia Lumia 900 has 16GB internal memory and there is no memory card slot available. Lumia 900 is a 4G phone so you can enjoy better internet speed. it has a 8MP main camera which can record 720p videos at 30 fps rate. like in all other Nokia cameras, the camera of Lumia 900 has a Carl Zeiss optics lens. also there is a 1.3MP front camera for video calling. as other features, Nokia Lumia 900 has a FM radio, GPS and a digital compass. this phone only supports micro SIM cards. it has a 1850mAh battery. this is a quite higher capacity when it compares with the other phones. Read More! Nokia is not a famous company for manufacturing Windows mobile phones. however they have started it and in the industry, it's a quite popular topic. even now, Nokia is the largest mobile phone manufacturer in the world. so this would be a big potential for the Windows Phone 7 OS. actually Nokia Lumia is a mobile phone series and Lumia 900 is a one of the very first device in this series. 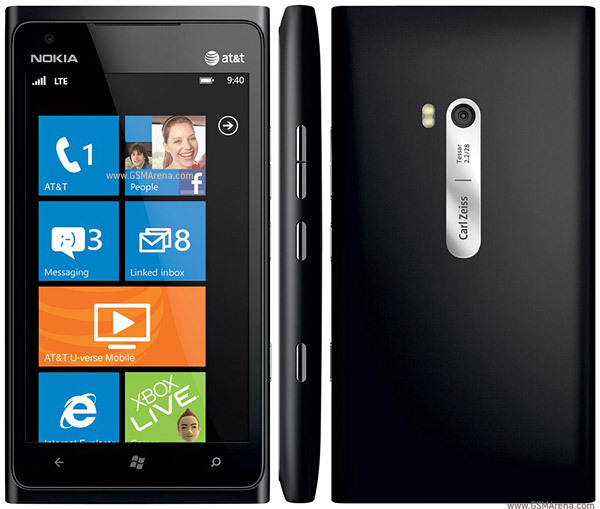 Nokia Lumia 900 has a classic Nokia mobile look and it has a 4.3 inch AMOLED capacitive touchscreen. the screen resolution is 480 x 800 pixels which is common in most of the phones. it has 16GB internal memory and doesn't support memory cards. Lumia 900 has a 8MP camera and it supports 720p video recording at 30fps rate. like in any other Nokia phones. the camera lens made by Carl Zeiss optics. also this camera has dual LED flash. Lumia 900 has a 1.3MP front camera for video calling and you can also take pictures with it. Nokia Lumia 900 runs with Microsoft Windows Phone 7.5 Mango OS. it powered by a 1.4 GHz Scorpion processor and has a 512MB RAM. this phone has a browser which supports HTML5 so you can visit any new mobile website. due to some reason, this phone only supports micro SIM cards. it has a 1830mAh battery, which will be sufficient for a this kind of phone. Read More! Yes, there are number of Dual SIM phones but most of them are piece of craps from China. also most of the dual SIM phone are regular phones, not smart phone. However Motorola has released a new smart phone with Android OS and it supports Dual SIM. 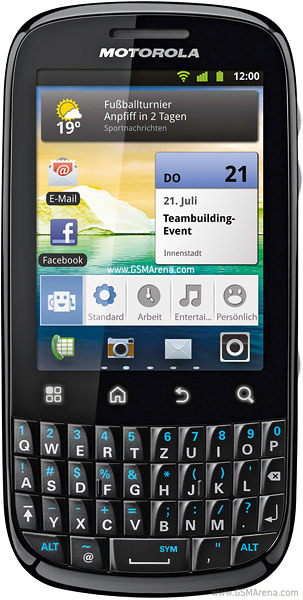 it has a 2.8 inc hTFT capacitive touchscreen and a full QWERTY keypad. the screen resolution is 240 x 320 pixels which is quite low. Unlike many other Motorola Android phones, Motorola Fire XT has a new user interface called Moto Switch UI. Motorola Fire XT has 150MB internal memory and it supports up to 32GB memory cards. the main camera is 3.15MP and it can record VGA quality videos. even if this is a smart phone, it's going to be quite cheap. however it has all smart phone features like GPS, radio and a digital compass. Read More!